Home Editor's Picks Hurt at Work? Who’s to Blame in a Workplace Injury Law Suit? Most workplace injuries occur when an employer fails to do what they are supposed to do, this, however, does not mean that employers are responsible for all workplace injuries. According to the Occupational Safety and Health Act of 1970, employers have the responsibility to maintain a safe working environment that is completely free of specific health-hazards. Any employer that fails to abide by this Act will be held liable for citations and necessary penalties, which include an award of Personal injury claims to the victim. Workplace Injury Lawsuits can be very complicated and require a critical approach to investigation. When Can You Blame an Employer for Workplace Injury Law Suit? An employer can be blamed for workplace injury lawsuit when they exposed workers to the occupational and health hazards listed under the Occupational Safety and Health Act of 1970. The commonest injuries that can be blamed on an employer include accidental falls caused by irregular workplace surfaces, dropping or any other type of impact accidents, Electrical accidents, chemical-related hazards, fire accidents, and machinery-related injuries. In most cases, injuries sustained by a worker as a result of defective landscaping outdoor are blamed on the employer. Faulty electronic devices and furniture are also categorized as workplace injuries that can be blamed on employers. If you have suffered injuries from any of the above-mentioned scenarios, please get in touch with Groth Law Firm to prepare your injury claims. Injuries through an employer’s intentional conduct. Failure of an employer to provide workers’ compensation insurance. Injuries sustained from a defective manufacturing machine. There are several instances for which you cannot blame an employer for workplace-related injuries. If for instance you failed to comply with necessary safety rules and regulations, and you were not fully protected against potential hazards, then you may not get compensations from the employer. Failure to put on safety helmets or wear recommended boots, safety helmets, and eye goggles, for instance, means your act of negligence may not get your claims valid. However, you may still get compensated by presenting your case to a Workplace Injury Attorney Lawyer. 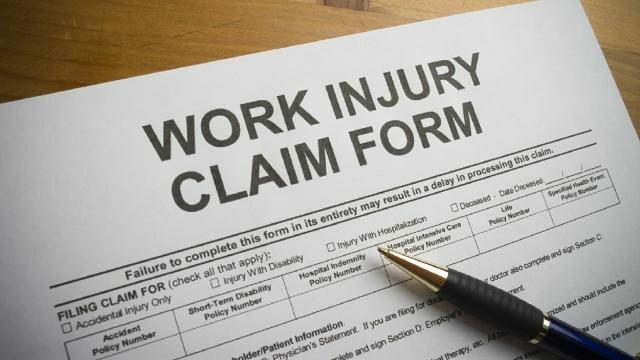 In conclusion, you should not rely on your worker’s compensation packages such as temporary or permanent disability payments to cover your workplace injuries because such payments are usually low. Workers compensation packages do not authorize punitive damages that should serve as punishments to employers especially for poor safety measures in dangerous working conditions. For this reason, approaching a Workplace Injury Lawyer is the best option that will ensure that you get adequate financial compensation for workplace injuries caused by your employer. With the help of a Workplace injury attorney, your case will be critically examined to identify strong evidence that links the employer to your workplace related injuries.